Home / DLSL / What’s With the Tie, Mr. Torrecampo? What’s With the Tie, Mr. Torrecampo? Indeed, what’s with it? I have never liked wearing anything that wraps tightly around my neck. And a tie is just about as restrictive not only in a physical sense but also in a metaphorical one. 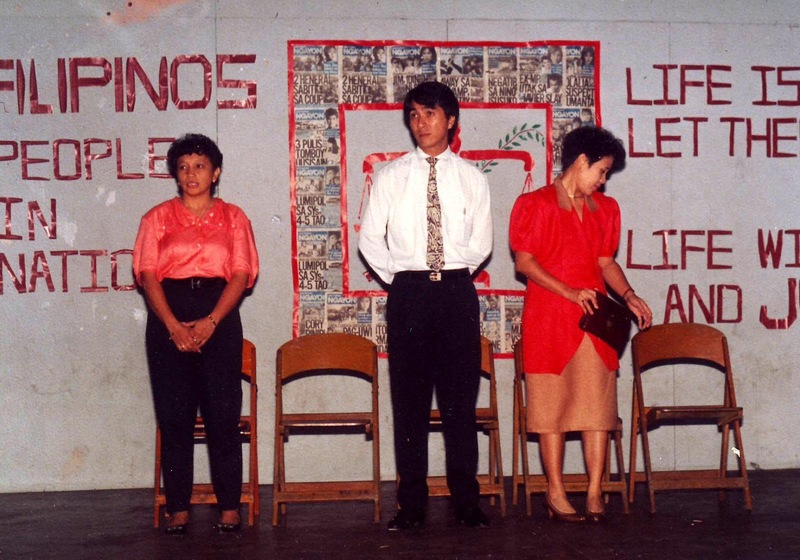 But in the late eighties, when Norma Blanco became the first lay principal of the high school where I taught Social Science, there was a sudden shift from the laid back and fairly liberal philosophy that the teaching staff all got used to under the former principal Br. Jaime Dalumpines FSC. This time, the emphasis was on conformity. We were being asked to either wear a uniform or stick to a strict dress code. This had less to do with Blanco herself but with memoranda being issued by the Department of Education. Which Blanco was hell-bent on enforcing; and not that I for one moment blamed her. She was under the spotlight for being the first lay person to head the high school; and was also under pressure to get along with the local division office of the Department of Education. In subsequent years, when the more modern buildings with airconditioned rooms were built, that attire did not look out of place at all! But in the old days in the old section of the school, I always felt that I looked like fish out of water. Albeit grudgingly, before long everyone started to comply. Now, conformity may come naturally to a lot of people; but it has never done so for me – especially when I disagree philosophically with that which I am being asked to conform to. Like wear a uniform or stick to a dress code. Although some stiff-necked old lady at the Department of Education would naturally have disagreed with me, but my own take on the situation was that what we wore mattered less than what we actually did inside the classrooms. Of course, the official line was that we were all role models blah-blah-blah... But in my life even up to that point, I had known quite a few teachers who to be fair dressed up well but did little inside the classroom to earn my respect and admiration. But if I am being honest, the good Brother Jimmy Dalumpines spoiled us. Many of us went to our classrooms wearing t-shirts, denims and sneakers. This was the attire I wore to school when I was in college and the sort that I have always been comfortable with. We worked hard and taught our students well. And all our students passed the NCEE, which at the time was the gauge of how well a school performed. Regardless of what we wore. So segue back to when we were all being asked – nay, required – to wear a uniform. 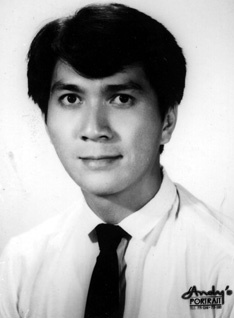 That uniform was polo barong worn with slacks and leather shoes. I have never liked wearing the barong. I have always thought that it makes people look old and stern. I have always loved wearing denims because they clung to my thighs and forelegs like a second skin. Wearing slacks, the air between the pants and my skin felt alien and uncomfortable. And worst of all, I had to wear leather shoes. The only leather shoes that I was comfortable with had cleats underneath them. Because I really had little in the matter of choices but to comply, I chose the next best thing available to me – to overdress. It was my own personal statement against conformity. So, I went to the shops and got myself a few long-sleeved shirts and ties. And when I went to school dressed like I was getting ready to work in an airconditioned office in a building somewhere along Ayala Avenue, they all loved it. Some people will never know sarcasm even if you spelled the word in allcaps. Of course, these days I can laugh all about it and even afford to feel silly about myself. How uncomfortable it was! Especially on hot and humid days. All for the personal need to make a statement that nobody ever understood. For reasons only he can explain, that jolly old character Greg Atijon started to take a fancy to wearing ties as well in the late nineties. I took that as the cue to finally get over my personal aversion to wearing the barong. I did not want Greg to look like my clone. More importantly, I did not want to look like his.